The FDA approved a total of 45 new drugs this year, the second year in a row the total has risen significantly. 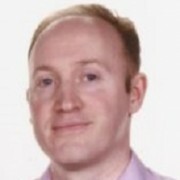 Andrew McConaghie picks out the most significant of these new approvals (plus Opdivo), and examines how price and value have played a greater and greater role in discussions in 2015. This year has seen the US FDA approve 45 new chemical or biologic new entities, exceeding last year’s tally of 40, and showing a continued resurgence in the pharma sector’s R&D productivity. But from these 45 new drugs, and many more licence extensions for drugs already on the market, a dozen or so stand out as being especially significant – either in their direct clinical benefits for patients, or as pointers for where the industry and medicine is heading in the 21st century. The drugs show pharma at its best and its worst: drugs such as Vertex’s Orkambi and Novartis’ Entresto are dazzling examples of innovation, and will have a huge benefit for patients. But Sprout’s Addyi shows what happens when PR and lobbying pressure drown out science and common sense. Set against this new wave of drugs, there was one theme which was inescapable, and touched every company in the sector – increased scrutiny of pharma’s US prices, which are the highest in the world. Prices, and the value of medicines, informed debate around most of these new approvals – a development that is here to stay. And despite attempts by big pharma to disown Martin Shkreli – for a time ‘America’s most hated man’ – polls suggest that the US public doesn’t buy the distinction between Shkreli’s price-gouging and big pharma’s opportunistic price increases. This year also saw what many believed might never happen – the US gained its own independent cost- and clinical-effectiveness watchdog, in the shape of the Institute for Clinical and Economic Review (ICER). The organisation, funded by a charitable foundation, only began releasing its drug assessments in September, but it has already had a big impact on the debate about prices and value for money, despite the fact that its conclusions do not have any binding status. The industry is clearly making moves to give up on the ever-escalating price model, but could have change forced upon it, depending on the political climate and the resident of the White House after November 2016. Bristol-Myers Squibb’s (BMS) immunotherapy Opdivo was undoubtedly the drug to watch in 2015, its promise of pushing the boundaries for cancer treatment making it a flagship for the whole industry. Amid the excitement about its potential, there were, however, cautions about hype around it and other immunotherapies, and of course concerns about price and value. Opdivo gained its first US approval in December 2014 for advanced melanoma, but 2015 saw it rapidly expand its reach, all the while in a neck-and-neck race with Merck’s rival drug Keytruda. This year saw it add no fewer than five new indications. In March, it gained FDA approval in metastatic squamous non-small cell lung cancer (NSCLC), then followed this up later in the year with a nod for non-squamous NSCLC. These approvals represent new hope in the fight against the world’s number one cancer killer, though Opdivo can, so far, only offer a few extra months to these patients compared to existing treatments. Two further approvals in melanoma were also added: first-line treatment in BRAF wild-type advanced melanoma, and in combination with Yervoy in BRAF V600 wild-type patients. Finally, the drug also gained approval as first-line treatment for renal cell carcinoma, where it is the first to show a survival benefit in the disease since 2007. However BMS hasn’t had it all its own way: the FDA declined to approve Opdivo for previously untreated melanoma in November, saying it needed more data relating to patients with the BRAF mutation. Merck has kept up the pressure on its rival, in melanoma and NSCLC, and may still surpass it. This could come down to its contrasting approach of differentiating patients on the basis of their PD-1 status, with trials increasingly suggesting those with higher PD-1 levels more likely to respond. The cost question is inescapable – Opdivo is $12,500 a month, or $150,000 a year, with Keytruda priced at roughly the same level. These are high prices, but combination treatment is undoubtedly the way forward, and means even higher costs: Opdivo and Yervoy combined cost $141,000 for the first 12 weeks, then 12,500 a month for Opdivo alone. This translates into about $256,000 for a year’s therapy – a price that many oncologists are alarmed at, despite belief in the combination’s benefits. Both Opdivo and Keytruda are still in the foothills of proving their long-term value, most particularly in producing overall survival. It is clear, however, that they don’t represent an endgame, a cure for cancer (unlike 2015’s other high-priced, big-growth story, Gilead’s hep C drugs Sovaldi and Harvoni). Opdivo’s unproven long-term benefits were illustrated by the recent rejection of Opdivo in squamous NSCLC by the UK’s NICE. The ICER is set to evaluate both Opdivo and Keytruda in the new year, which will prove a major milestone for pharma and US payers in 2016. Amgen’s Repatha became the first in the new class of cholesterol-lowering PCSK9 inhibitor drugs to gain approval this year, getting the nod in Europe in July, ahead of FDA clearance in August. It, and its rival, Sanofi’s Praluent (FDA approved in July, EMA in September), both cut LDL cholesterol by more than 60% in hard-to-treat patients, but it was the US pricing battles, as well as this clinical advance, which made them remarkable. In September, the ICER ruled that the drugs were hugely overpriced. It said the drugs should be priced around $3,615- $4,811 a year – more than two thirds cheaper than their US list price. Having emerged as the scourge of high pharma prices in its battle with Gilead over Sovaldi and Harvoni in 2014, pharmacy benefits manager Express Scripts used a similar tough stance with Amgen and Sanofi/Regeneron. Undoubtedly helped by the ICER’s damning appraisal of their prices, Express Scripts secured major discounts on Repatha and Praluent, allowing it to include both drugs on its approved list. Vertex’s follow-up to the ground-breaking Kalydeco (ivacaftor) was approved in July: Orkambi. This combines ivacaftor with a new agent, lumacaftor, and expanded significantly the number of cystic fibrosis (CF) patients who could be treated. While Kalydeco treats just 4% of CF patients (those with the G551D mutation), Orkambi targets a larger group – those with two copies of the F508del mutation. The FDA estimated that this represents around half of the 30,000 CF patients in the US. However Vertex cited a more modest figure of 8,500. This larger pool of potential patients allowed Vertex to make its combination drug cheaper than the original – Orkambi costs $259,000 a year compared to $311,000 per year for Kalydeco. Despite this price reduction, payers are still facing a huge increase in cost – if all the eligible patients in the US were to receive the drug at this price, it would cost $22 billion a year, a simply unaffordable sum for the system to bear. The other unusual part of Vertex’s story is that is still not making a profit – a demonstration that rare disease R&D isn’t always an automatic licence to print money. However shareholders have raised questions about the compensation package of Vertex’s CEO, Jeffrey Leiden, which topped $28 million in 2014, the majority in stock options. 4. Entresto – breaking ground in heart failure and ‘pay for performance’? 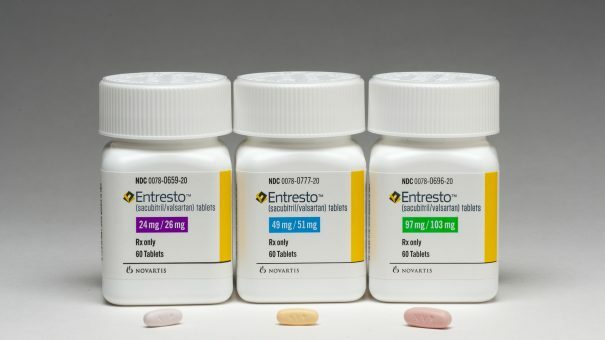 Novartis’ Entresto (sacubitril/valsartan) gained FDA approval in July, and promises to have a huge impact on chronic heart failure (CHF), a condition which afflicts around 23 million people in the world, and kills most within five years. The drug is licensed to reduce the risk of cardiovascular death and hospitalisation in CHF patients, having been shown in trials to reduce the risk of cardiovascular death or heart failure hospitalisation by 20% after 27 months. It also improved overall survival by 16% versus enalapril. Now launched, the drug costs around $4,600 a year in the US. Analysts predict this could mean peak sales of $10 billion – but such earnings won’t come without in-depth negotiations between Novartis and healthcare systems. Novartis is discussing risk-sharing with healthcare systems in the US and Europe, proposing that payment for the drug should rise when it produces savings by cutting hospital admissions. This is undoubtedly a future direction for pricing, but won’t be a panacea for difficult decisions on finite healthcare spending. Most encouragingly, the ICER has also gave Entresto its seal of approval, judging it to be cost-effective in September, saying it represented good value overall. After a very long wait, the US got its first ever biosimilar drug in March this year, when Sandoz’s Zarxio was approved. Zarxio, a biosimilar of Amgen’s white blood cell boosting drug Neupogen (filgrastim), and biosimilars of this drug, have been available in Europe since 2009. Express Scripts estimates that the US could save an enormous $250 billion from just 11 biosimilars up to 2024. But lots of obstacles remain – not least the relatively modest savings offered so far. Zarxio was launched at a 15% discount to Neupogen – a saving which many payers found underwhelming. If US experience follows that of Europe, it will take a number of years before more substantial savings are offered, as acceptance of biosimilars grows and more products enter the market. 3-D printing has been hailed as a potentially revolutionary advance, and in August the FDA approved the first-ever drug to be produced using the technology. Spritam has been developed by Aprecia Pharmaceuticals, its active ingredient being levetiracetam, aka UCB’s off-patent epilepsy treatment Keppra. The innovative 3-D printing process allows the drug’s active and inactive ingredients to be laid down layer-by-layer, making the pill more porous and more potent than a conventionally-manufactured medicine. 2015 saw many advances in 3-D printing in the world of medicine, with rigid medical devices such as hearing aids, dental implants and prosthetic hands being manufactured. Companies such as Organovo are pioneering the ‘bioprinting’ of human tissue, which is already being used to aid pharma drug development, and may one day allow replacement organs to be produced this way. Despite the exciting possibilities, it is yet to be seen if 3-D printed drugs can be commercially successful – Aprecia is set to launch Spritam in the first quarter of 2016. Another notable innovation in drug delivery in 2015 was MannKind and Sanofi’s inhalable insulin Afrezza, launched in February. However the product looks set to be a resounding commercial failure, apparently unable to offer sufficient benefits for patients to switch from injections. A more promising innovation is the first ever ‘digital medicine’, accepted for review by the FDA in September. The drug/device, developed by Proteus Digital Health and Otsuka, combines schizophrenia treatment Abilify with an ingestible sensor, allowing patients to record ingestion and share data with healthcare professionals. 7. Saxenda – are drugs really the answer to obesity? Novo Nordisk is the market leader in insulin and diabetes injectables, but this year crossed over into the risky field of obesity treatment with the launch of Saxenda (liraglutide) in April. The glucagon-like peptide-1 (GLP-1) analogue drug is already licensed to treat diabetes under the brand name Victoza, but this year gained approval to treat obesity. The drug is a higher-dose formulation of Novo Nordisk’s big-selling diabetes therapy Victoza, but has shown to help patients lose weight. The US is suffering an obesity epidemic: more than 1 in 3 adults (nearly 80 million) are obese, but can Saxenda really make a dent in this problem? Trial data showed that for a daily injection over 12 months, 34% lost at least 5% of their body weight, while 31% lost more than 10%, when combined with diet and exercise. Experts in the field are not impressed with these data, and expect less compelling results in real life patients. The roots of America’s obesity problem (and that of other countries) run deep into societal issues around diet and lifestyle, and bold action to address public health would have a much bigger impact. Saxenda is priced at $1,000 a month, and Novo Nordisk hopes the drug can help it expand beyond its diabetes base. It also hopes to be the first drug to disprove concerns about side effects and limited efficacy, but the omens are not promising. In terms of sheer impact on public health, nothing can match a good vaccine, and Sanofi’s new dengue fever injection is set to prevent suffering in millions of people. Dengvaxia is the first ever vaccine against dengue, the mosquito-borne disease that infects 400 million people a year, mostly in developing nations in tropical regions. The product gained its first approval in December in Mexico, where Sanofi will now negotiate on prices with the government. Dengvaxia is a major milestone for Sanofi, which needs new commercial success to help offset lack of growth in existing products, especially its diabetes portfolio. Sometimes a drug can gain approval despite the majority of FDA expert sentiment being against it, and such was the case with Sprout Pharmaceuticals’ Addyi (flibanserin). A drug for low libido, or ‘acquired, generalised hypoactive sexual desire disorder’ (HSDD) in premenopausal women, Addyi was approved in August amid considerable controversy, with claims that the FDA had been pressurised into approving the drug against its better judgement. Its approval, and the subsequent acquisition of Sprout by the aggressive growth-chasing buccaneers Valeant makes it 2015’s cautionary tale for pharma and its reputation. Sprout claimed its small pink pill would do for women what Viagra did for men – despite HSDD and sexual desire being a very different medical matter from the more straightforwardly physiological problem of erectile dysfunction. The drug had already been twice rejected by the FDA because of a small benefit and substantial side effects, but Sprout’s public relations push seemed to help take the drug over the line. The drug has an effectiveness rate of somewhere between 8 and 13%, and can cause side effects like fainting, dizziness and low blood pressure, many of which were found to be exacerbated by alcohol and hormonal contraception. The final FDA committee vote was 18 to 6, but the panel insisted on numerous caveats. Addyi carries a black box warning of serious side effects and is not approved for postmenopausal women or anyone with an impaired liver. Most worrying was the pressure exerted on the FDA by a vocal campaign group called Even the Score, which made the rather bogus claim that the lack of drugs for women with low libido was a gender equality issue. Sprout Pharmaceuticals also provided funding for the group, as did Trimel, another company in the therapy area, raising suspicions that the group had been co-opted by the pharma firms. Then, just one day after Addyi’s approval, Valeant bought up the company and its new product for around $1 billion in cash plus milestone payments. Valeant, a company which eschews R&D for aggressive marketing and M&A, had already established itself as a rogue element within pharma in 2015. Its interest in acquiring Sprout and its drug seemed to only confirm the approval as a regrettable business. For once, price isn’t the main issue. Addyi costs around $400 a month, a level where consumers may be happy to pay out of their own pocket – but nevertheless very expensive if it requires indefinite use. Addyi looks likely to be the kind of drug that is good news for the marketers, but not for patients themselves, and certainly not good for the reputation of the wider pharma industry. No therapy area saw more rapid developments in 2015 than multiple myeloma, with no fewer than four new treatments launched. BMS and AbbVie’s Empliciti (elotuzumab) was the last of these, approved in December, and the first in a new class of treatments for the disease. It works by directly activating the immune system in patients, and illustrates how novel immunotherapy treatment is reaching beyond solid tumours into blood cancers. Analysts predict sales of around $1.2 billion by 2020, but it will face competition from other new treatments: Takeda’s Ninlaro (ixazomib), Janssen’s Darazalex and Novartis’ HDAC inhibitor Farydak (panobinostat). The drug has been approved by the FDA for the treatment of multiple myeloma as combination therapy with Revlimid (lenalidomide) and dexamethasone (ERd) in patients who have received one-to-three prior therapies, and has shown itself superior to the combination of these two older treatments. The ELOQUENT-2 study showed the ERd regimen produced a 30% reduction in the risk of disease progression or death compared to Rd alone. Empliciti was one of many drugs approved through the FDA’s Breakthrough Therapy Designation route this year. While the FDA has been praised for this fast-track pathway, 2015 has also seen doctors cautioning against hype. By definition, all of these ‘breakthrough’ drugs reach the market with immature data, and then must subsequently prove their value through long-term data and overall survival. Oncologists will have to decide which combinations of drugs work best in which myeloma patient groups – with the possibility of some receiving three or four drug combinations. The cost of the new agents and these combinations will be a factor, with payers increasingly scrutinising price along with gains provided to patients. Empliciti costs $10,000 a month, resulting in an annual cost of around $142,000. Multiple myeloma remains largely incurable, with only half of patients surviving five years after diagnosis. New treatment options that extend the time without disease progression, and with the minimum of side effects, will generate major revenues, but will put healthcare systems under new pressure.